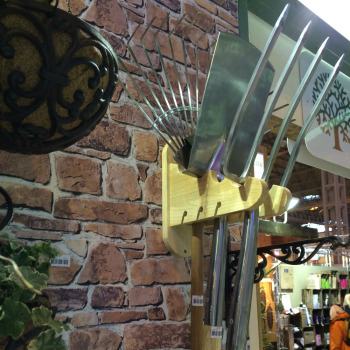 This handy tool hanger from Ruddick Garden Gifts is a great space saving idea for any shed or garage. There are holders for four long handled tools and six hand tools. The wooden tool hanger can be fixed to any wall and would make a fantastic and practical gift idea for all keen gardeners.